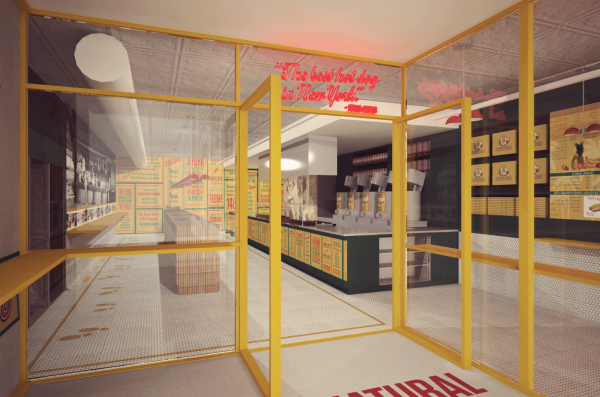 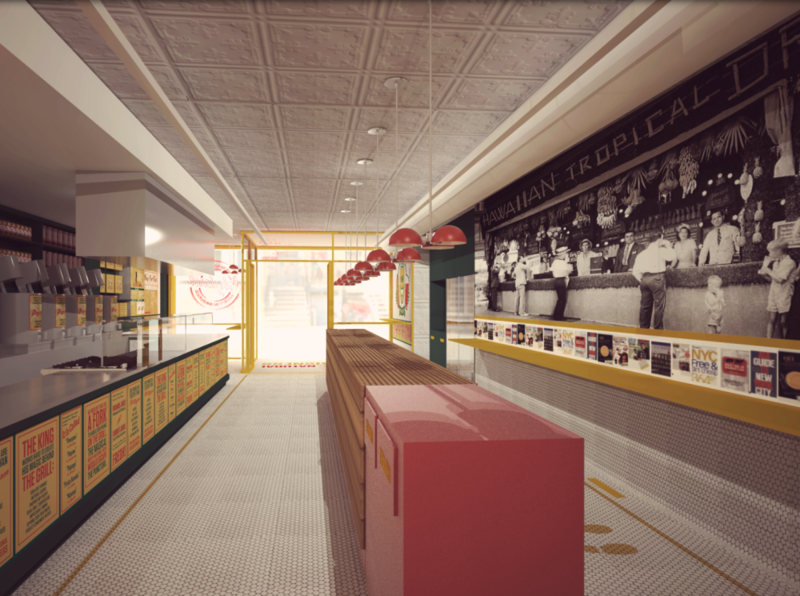 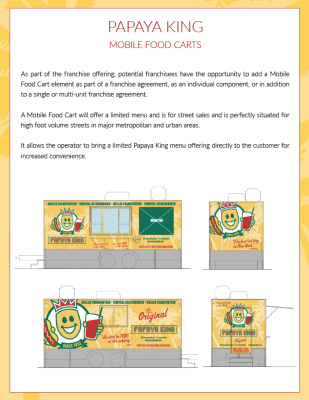 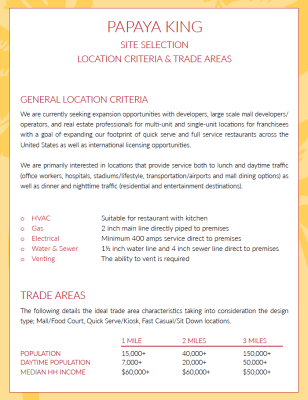 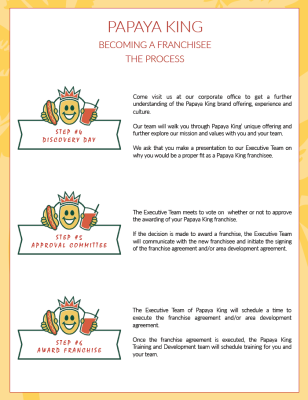 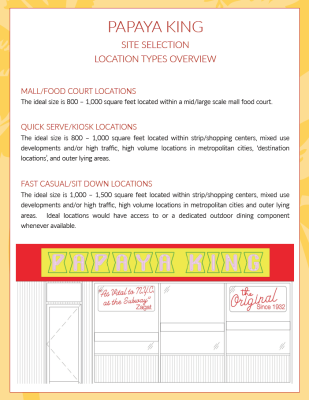 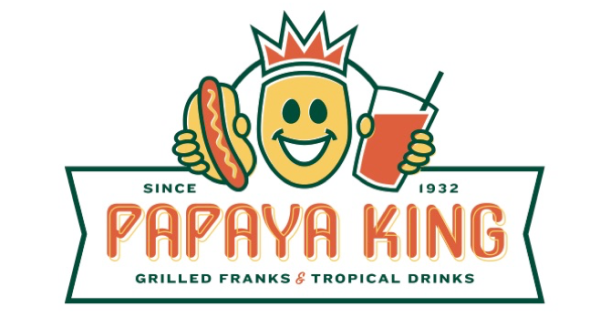 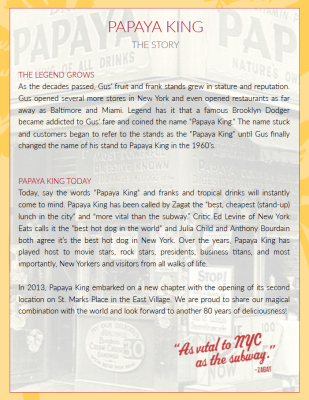 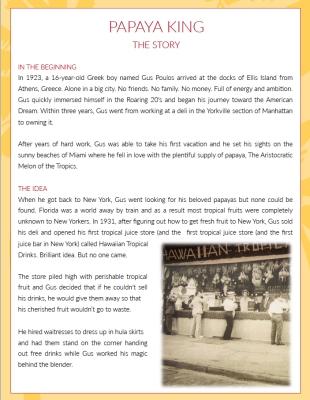 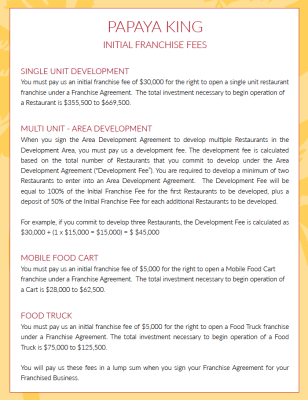 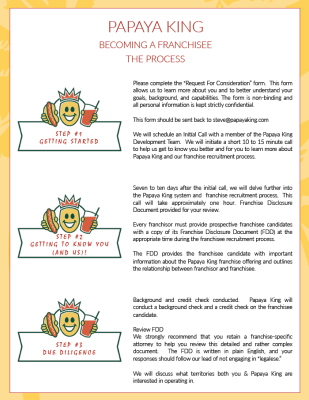 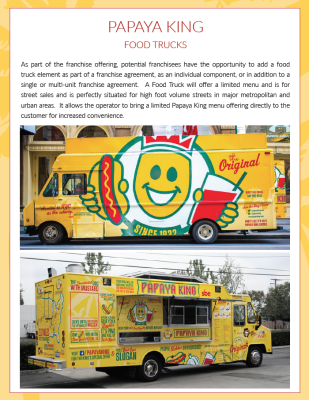 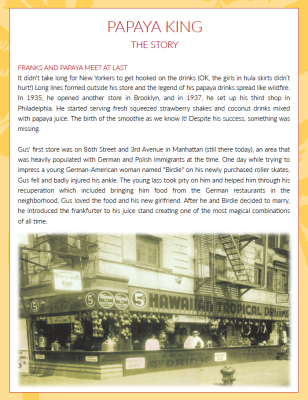 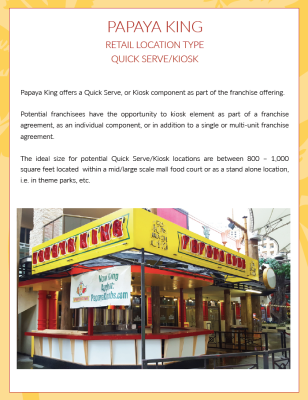 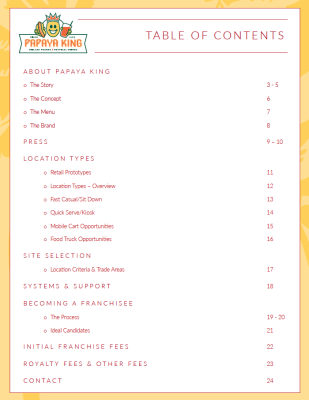 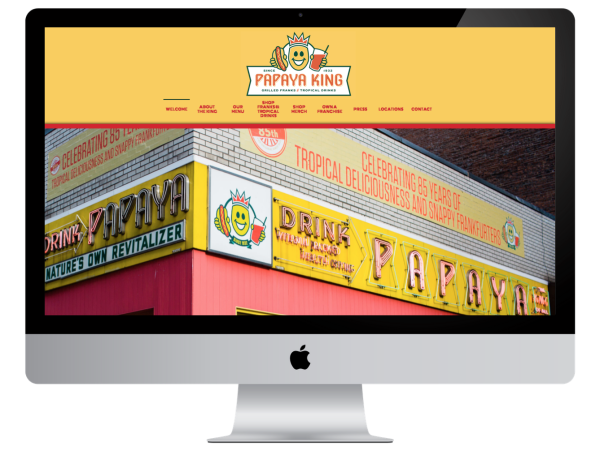 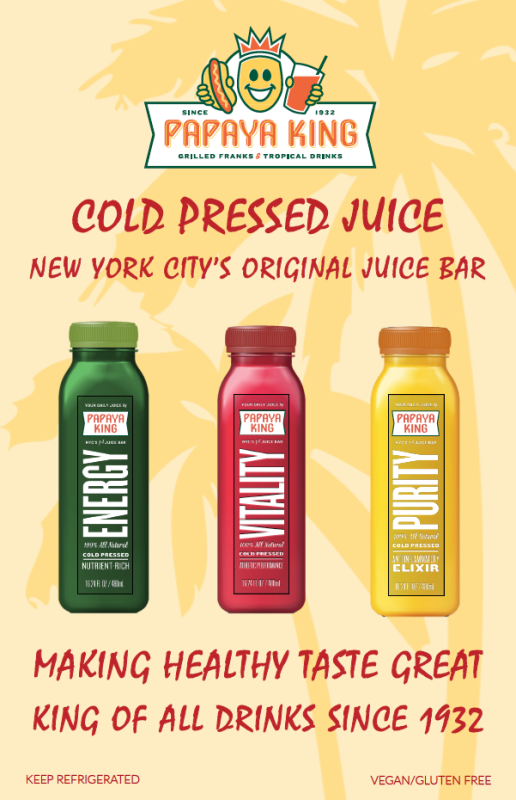 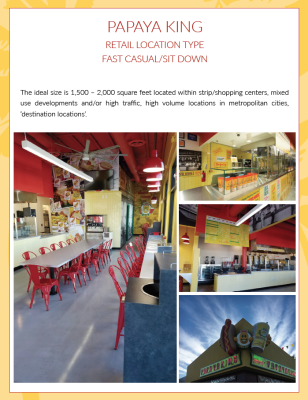 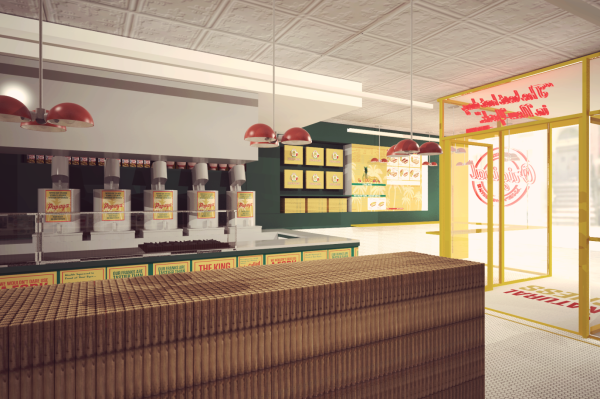 Today, say the words "Papaya King" and franks and tropical drinks will instantly come to mind. 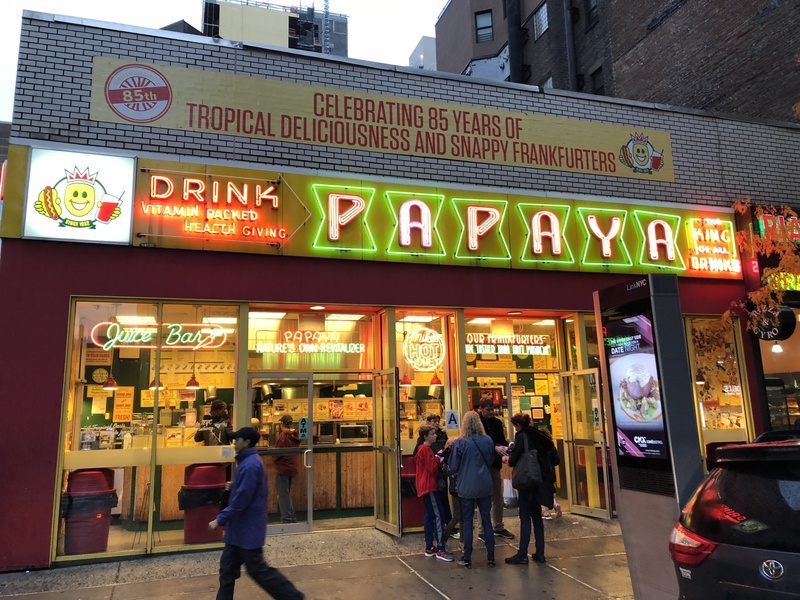 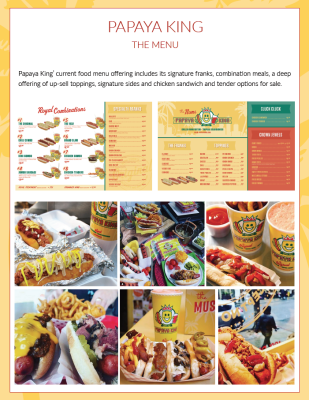 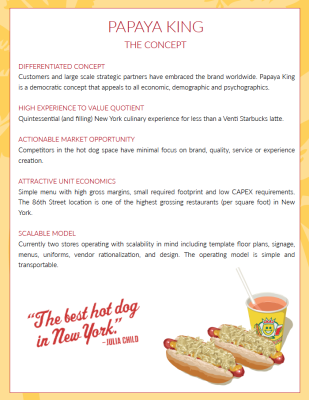 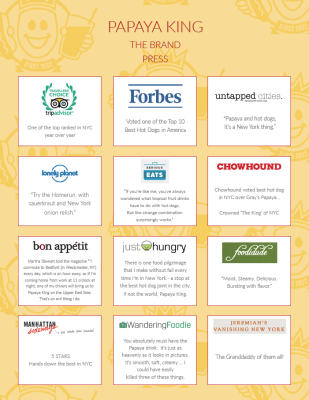 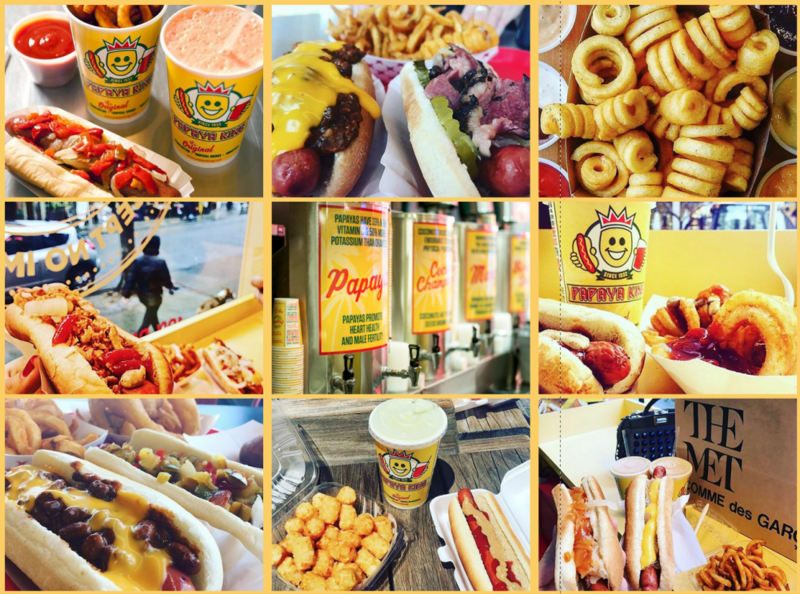 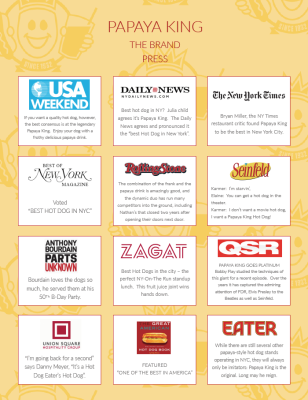 Papaya King has been called by Zagat the "best, cheapest (stand-up) lunch in the city" and “more vital than the subway.” Critic Ed Levine of New York Eats calls it the "best hot dog in the world" and Julia Child and Anthony Bourdain both agree it’s the best hot dog in New York. 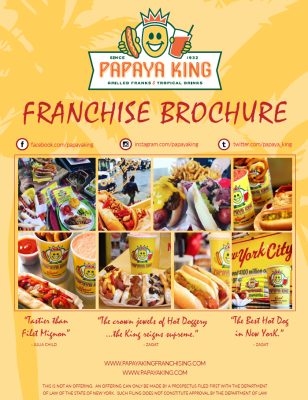 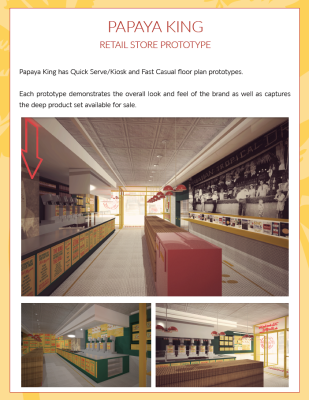 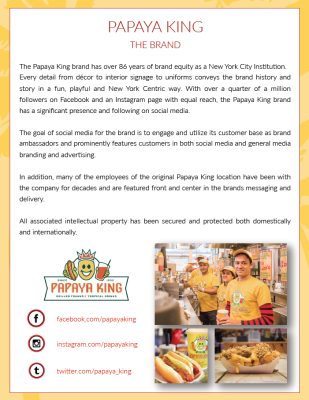 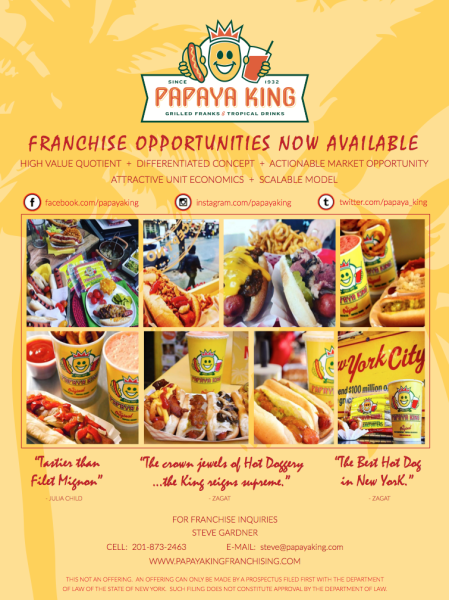 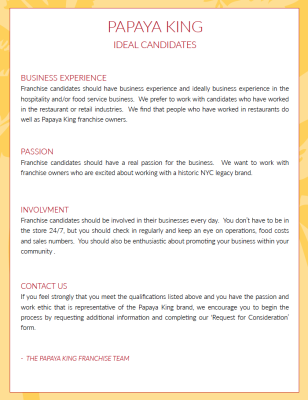 Over the years, Papaya King has played host to movie stars, rock stars, presidents, business titans, and most importantly, New Yorkers and visitors from all walks of life.